The background for this project can be found in the book, The Turing Omnibus - 61 Excursions in Computer Science, by A. K. Dewdney, Chapter 1, page 3, and in Computer Recreations, A. K. Dewdney, Scientific American, September 1986. I teach a Fractals and Chaos course for secondary math and science teachers as part of a graduate degree program. I assign Wallpaper as a programming exercise prior to assigning the Mandelbrot set algorithm as a programming exercise. An orderly method for exploring a section of the coordinate plane is needed in both. Wallpaper is an interesting application of the circle formula and odd and even numbers. Each set of unique inputs generates a unique pattern that is unpredictable. Even though we know the equation of a circle and how to test for even or odd, we have no way of predicting the pattern generated by the three inputs. it has to be computed to be seen. Watch this short video to see Wallpaper in action. Go to this link to download the Scratch file for this project. 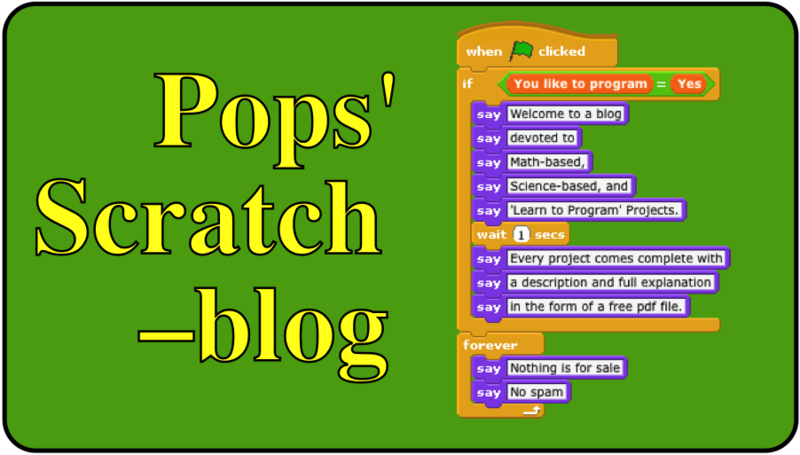 I also have a free PDF file that goes into more detail about the math and the Scratch coding. It is available free, on request, by sending an email to grandadscience@gmail.com. Emails are never shared and are only used to transmit files.